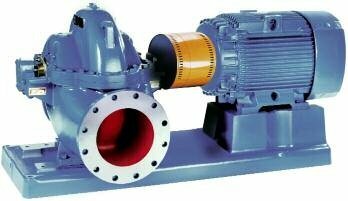 The Goulds Model SRL is the original rubber-lined slurry pump. 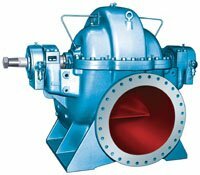 It is the result of nearly a century of proven experience in the design, manufacture and field operation of slurry pumps. The SRL is built to stand up to the toughest services, while providing maximum reliability and extreme ease of maintenance. 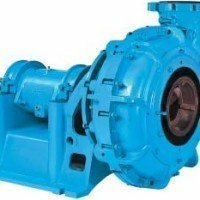 Available in a wide variety of natural and synthetic elastomers, the SRL, with its heavy duty design, extra thick liners and multiple impeller options, provides you with the right pump for your application along with years of dependable service even under the most severe operating conditions. 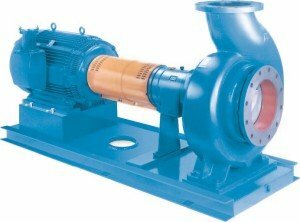 The SRL-XT has extra thick rubber components which are up to 3 times thicker than standard rubber-lined pumps. 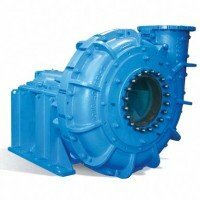 Its heavy duty design makes it ideal for the toughest applications, especially where coarser slurries are involved. The Shearpeller’s innovative patented design successfully handles large stringy solids. 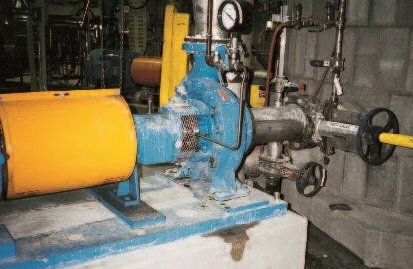 Also, due to its unique tapered radial vanes design, the SRL-S can handle up to a Froth Factor of 3 without oversizing the pump, providing significant cost savings. The design is also very effective in handling entrained air without air binding. Available on all sizes of SRL, the Shearpeller is completely interchangeable with the standard models. The Goulds Model VRS builds on almost a century of cantilever and rubber-lined pump design experience. 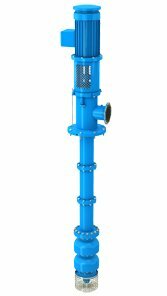 The VRS is designed using the proven reliability of the SRL and Goulds cantilever pumps. By using the existing SRL wet end components along with a rugged power end and shaft design, the VRS offers higher efficiencies, with maximum reliability and interchangeability. 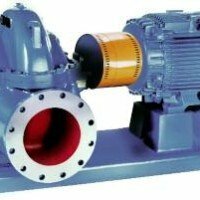 Offered in standard lengths and a wide variety of elastomers, the VRS provides you with the right pump for your application along with years of dependable service even under the worst operating conditions. Maximum Interchangeability – Wet ends are completely interchangeable with horizontal model SRL to ease maintenance and reduce inventory. 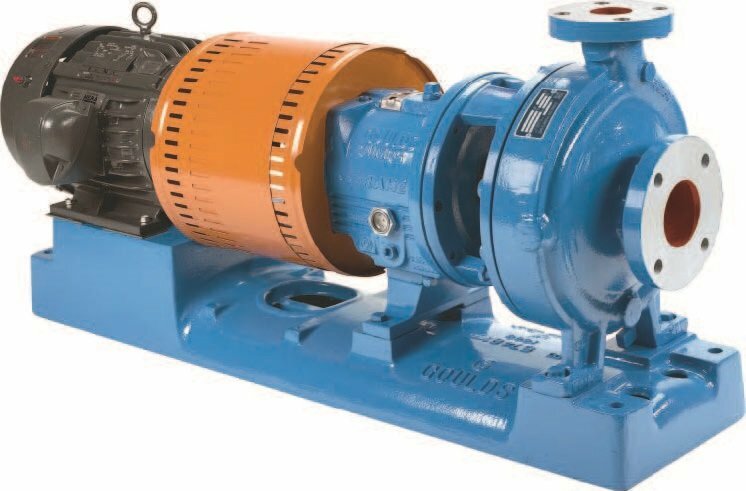 Goulds XHD extra heavy duty world-class lined slurry pumps deliver safety, performance, reliability and ease of maintenance, because if your slurry pump goes down, production does too. 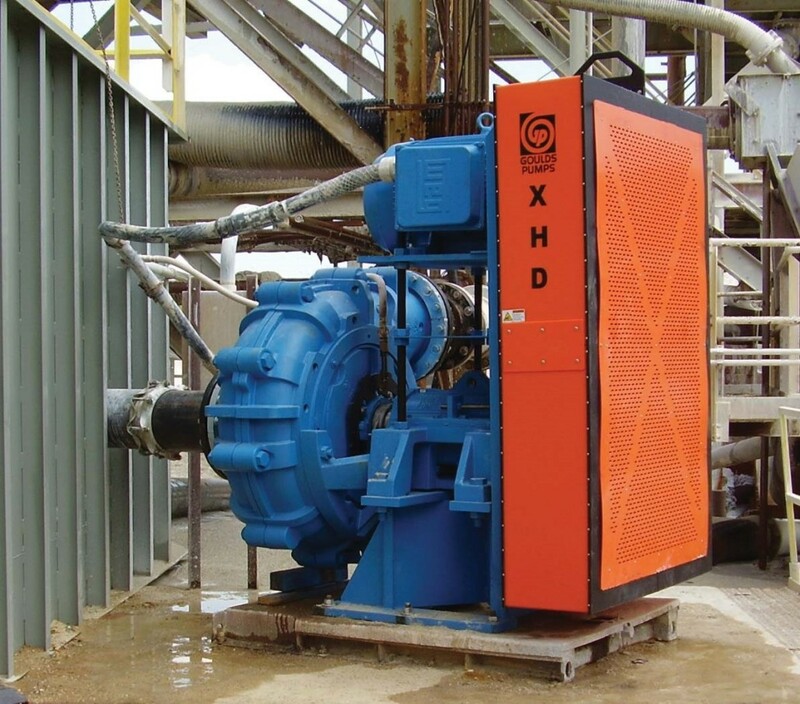 The XHD incorporates the latest technology including CFD analysis to provide the next generation in sever-duty slurry pumping. Extensive “Voice of the Customer” input was utilized to ensure our customers’ needs were met. This includes high efficiency with extended wear life, along with maximum reliability and ease of maintenance. 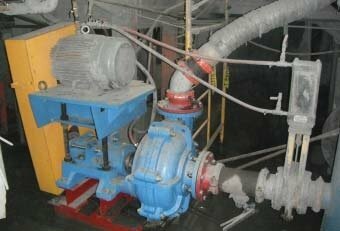 Thousands of installations attest to the remarkable versatility of the Model JC slurry pump. 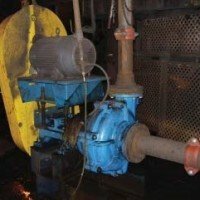 Fifteen sizes are available in a wide range of materials and configurations, making the JC ideal for most medium-duty abrasive and/or corrosive slurry services. Plus, it’s designed for extreme ease of maintenance and long hours of reliable operation. 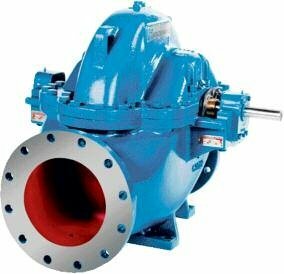 Goulds Model 5500 is the result of many years of experience designing and building severe duty slurry pumps. It’s not only built to stand up to the toughest abrasive slurry services, but is also designed for extreme ease of maintenance and safety. 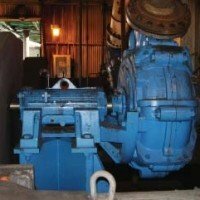 A heavy duty bearing frame and shaft, extra thick wall sections and easily replaceable wear parts add up to many years of service even under the severest operating conditions. 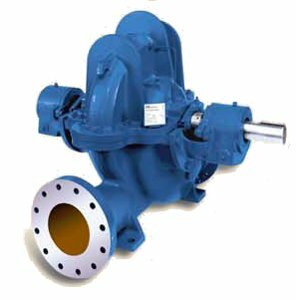 Every day in over 1,000,000 installations, Goulds process pumps prove why they are the industry standard for performance. 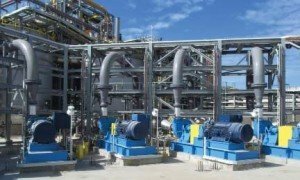 Users in Chemical, Petrochemical, Pulp & Paper, Primary Metals, Food & Beverage and General industries know they can make no better choice than the best. 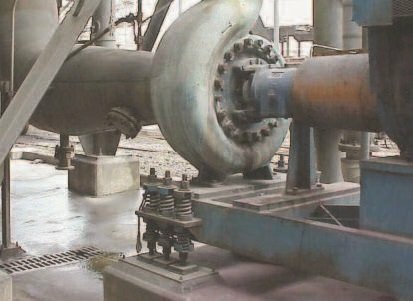 Fully Open Impeller – Acknowledged best design for CPI services – solids handling, stringy material, corrosives, and abrasives. 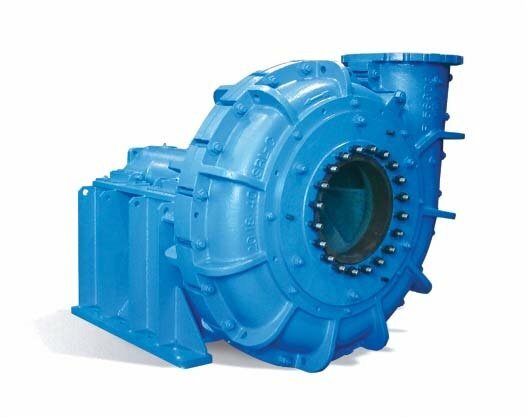 Two times the wear area of closed-type impeller for longer life. Back pump out vanes reduce radial thrust loads and seal chamber pressure. 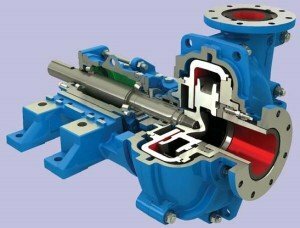 Engineered Seal Chambers – Packing, expeller, mechanical seal, and seal less chambers available. Patented Taper Bore Plus seal chambers prevents solids, air and vapors from entering seal faces as well as ensuring continuous flush and cooling with clean liquid. I-FRAME Power Ends – Constantly measures vibration and temperature at the thrust bearing. 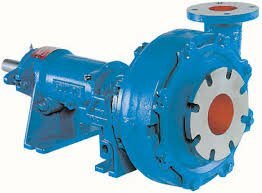 Coloured LED’s indicate general pump health provide early warning of improper operation before catastrophic failure occurs. 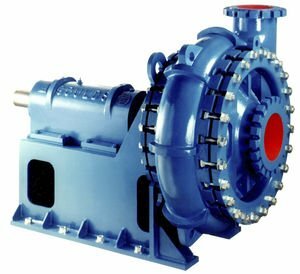 Interchangeability of power ends between 7 different process pump models. 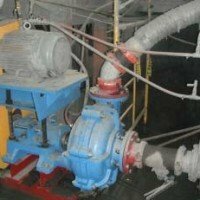 Ease of Maintenance – Back pull out design, external impeller adjustment, optional c-face motor adapter, interchangeability of power ends reduces stocking requirements. 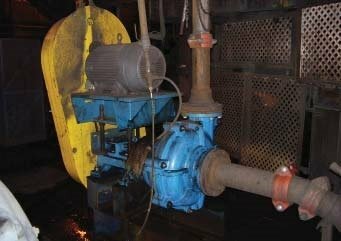 Built to ANSI standards, the 3180 is the heavy duty process pump designed to handle all of your tough process pumping applications. 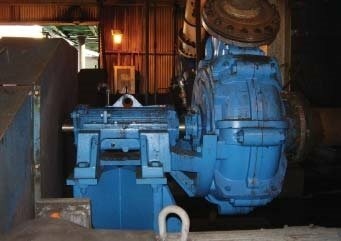 Open Impeller – Full back shroud and thick impeller vanes for handline slurries and stringy fibers. Large balance holes and back pump-out vanes minimize stuffing box pressure and axial thrust. 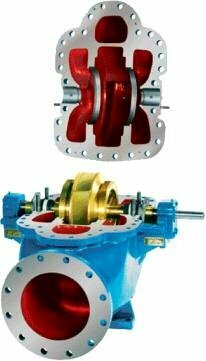 Optional enclosed impeller available. Shearpeller design available for difficult recycle services. 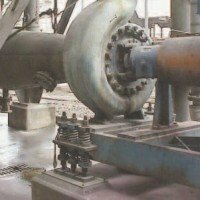 Sealing Flexibility – Wide range of sealing arrangements available to meet service conditions. Patented seal chambers improve lubrication and heat removal (cooling) of seal faces for extended life and pump uptime. 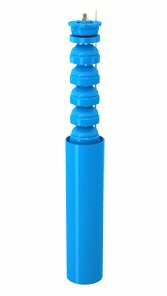 Heavy Duty Power End – Heavy Duty shaft designed for minimum deflection and maximum load. Labyrinth oil seals fitted as standard. Patented i-ALERT condition monitor constantly measures vibration and temperature at the thrust bearing. 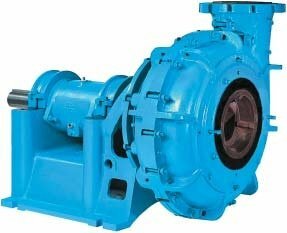 3996 process pump line is specifically designed to provide superior performance for in-line services. 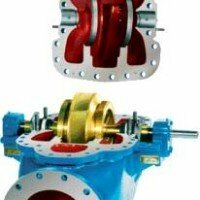 They have become increasingly popular with users due to minimal floor space required Field alignment is not required as the pump is not subject to misalignment due to pipe strain or temperature changes. The three different pump models in the vertical turbine line have one thing in common – the hydraulic design of the pump bowl assembly. 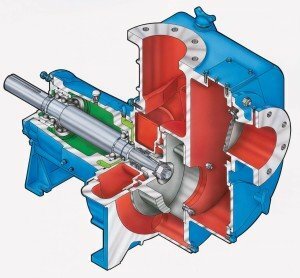 Using state-of-the-art techniques in turbine pump design, Gould’s vertical turbine line covers a wide range of hydraulic conditions to meet virtually every pumping service in the industry with optimum efficiency. 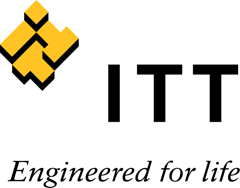 Everything about the new ITT Gould’s 3393 multistage ring section pump is designed to minimize your total cost of ownership. 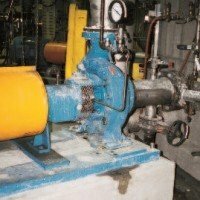 Simply put, it’s more efficient, more reliable, and less expensive to maintain than conventional high-pressure pumps. 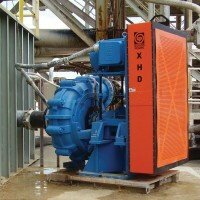 Gould’s Trash Hog is designed for superior solids handling capability, optimum pump performance and extreme ease of maintenance for a wide range of industrial, mining and municipal wastewater services. Whether handling raw sewage, sludge, debris or plant wastes, there’s no other pump that compares to the Trash Hog. 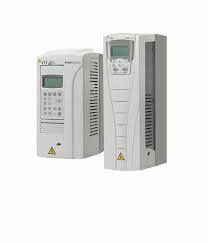 PumpSmart offers automatic pump control by integrating the pump controller in the drive. No external controller is required, making PumpSmart a simple and cost-effective solution for your basic pumping needs. 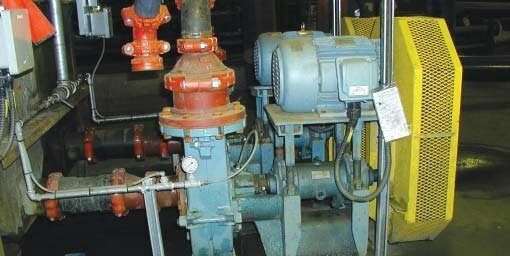 As standard, PumpSmart systems come equipped with advanced process control features that help optimize your pumping system for maximum uptime, reliability and energy savings. 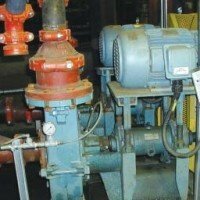 While most VFDs can provide basic information to your control system, PumpSmart systems have been designed to provide the important data you need to help run your process smoothly and efficiently. Use PumpSmart as a standard VFD, and gain unprecedented insight into the performance of the pump with sensor less functions such as Smart Flow, Flow Economy and Advanced Pump Protection.